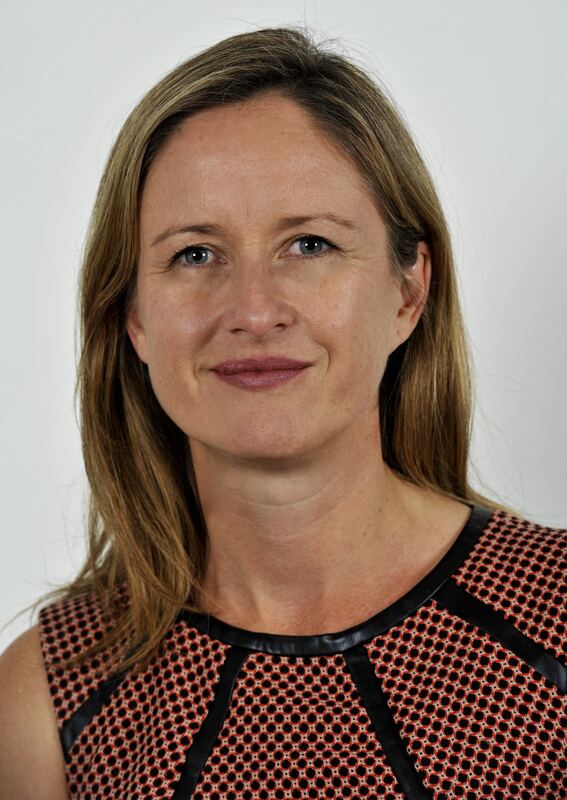 Melissa Edwards is Director of the Executive MBA programs at the UTS Business School and a Research Director at the Centre for Business and Social Innovation (CBSI). She researches and teaches about sustainability, sustainable enterprise and responsible management, complexity theory and social impact. Her work draws across disciplines with an overarching aim to understand how people organize, learn and adapt to enable sustainable transitions. She was a lead CI on Australian Government Office of Learning and Teaching project to develop a Community of Practice to share excellence in Sustainability Education through an online platform (www.sustainability.edu.au) for which she was awarded a finalist in the Green Gown Awards for Excellence. She has led several cross-disciplinary and transdisciplinary teams to embed sustainability into business curriculum including the development of an innovative undergraduate course that challenges students to address contemporary wicked problems and to design sustainable entrepreneurial solutions for which she received a University T&L Citation. She currently chairs the UTS Business School cross-faculty Sustainability Working Party and was a member of the University Sustainability Research Committee. She co-chaired the Sustainability and Social Issues in Management stream at the Australian and New Zealand Academy of Management conference (2014-2018) and has collaborated to develop a stream of research regarding Sustainability in Management Education (SiME) at the prestigious Academy of Management Conference. She has developed a partnership with the world leading Circular Economy advocacy organization, the Ellen McArthur Foundation, to develop a partnership as a network university. UTS was the first Australian University to host an online forum as part of the Disruptive Innovation Festival (DiF), a global initiative designed to bring together educators, innovators, practitioners and students. She co-edited and contributed to two books on design-led innovation processes and facilitated applied courses through u.lab, including one with the City of Sydney, to develop community projects. She is currently teaching Sustainability and responsible management in the undergraduate and postgraduate Business programs and in a summer school as part of the Bachelor of Creative Intelligence and Innovation (BCII). She conducts research that draws together sustainability, complexity, social capital and network theories with a focus on social impact and new business models, especially the Circular Economy and B Corps. She has worked as Chief Investigator on various research partnerships and has developed a track record for publications in leading journals such as Organization and Environment, Business Strategy and the Environment, Emergence: Complexity and Organization, Stanford Social Innovation Review, Voluntas and Third Sector Review. Outcomes from her recent projects include developing innovative indicators of social impact for Surf Life Saving Australia, coordinating a Big Top Tent as part of the Circular Economy Disruptive Innovation Festival. Member of the Academy of Management - Organisations and the Natural Environment, Management Education Division and Social Issues in Management Divisions. Pratt, J. & Edwards, M. 2008, Management and Organisational Behaviour Workbook, 1st, John Wiley and Sons Australia, Ltd, Milton, Qld. A workbook with applied case studies, group-based experiential activities and individual skills diagnosis and development exercises designed to accompany leading textbooks in in first year business courses in generation, and 21129 Managing People and Organisations in particular. While most extant scholarship has focused on how stakeholders influence firms, we propose that firms play a critical role in 'shaking' stakeholders. Shaking stakeholders means to proactively initiate cooperation with those affected by a firm to alter awareness, behavior, and networks so as to catalyze change in society and the marketplace to reward cocreated innovations in core operations of the firm that improve social and environmental impacts. Two previously underappreciated aspects of stakeholder relations are highlighted. First, the firm can be the entity that leads engagement that shakes stakeholders out of complacency. Second, firms can catalyze collaborative relationships to cocreate sustainable value that is shared with stakeholders. We offer several cases to illustrate this strategy. While stakeholder shaking may be useful in any business environment, global ecological crises, societal problems, and governance failures heighten the need for firms to take action to bring about profound and systemic changes. 'Social impact' has become a buzzword as new public management and corporatisation approaches have dominated in attempts to account for non-government organisations' performance. However, social change is enabled through other manifestations of civil society, which are not effectively conceptualised or accounted for through these dominant approaches. This paper uses Anheier's manifestations of civil society as a framework to analyse actions directed towards the issue of homelessness and housing, demonstrating distinctions to be observed in how social change is enacted and impacts are conceptualised. This framework provides practitioners and policy-makers a means to understand the ideological perspectives framing different social services and programs, and establishes a potential research agenda for activists and scholars in developing understandings of the complexities of social impact. Participation in Civil Society Organizations (CSO) draws on and enriches social, cultural, and human capital. Social impacts of such participation as active citizenship are systemic and 'ripple' far beyond the immediate program outputs and outcomes. CSOs and the third sector as a whole must demonstrate and gage the difference they make in the social life of the broader community. This research offers a new approach to conceptualize CSO social impacts through an empirically derived model that accounts for the impacts of active citizenship for individuals, organizations, and the broader community. A conceptual model of systemic social impact is presented as it was developed through an exploratory study of a large Australian CSO using an abductive methodology combining focus groups and a survey. Considering the potential of the model that could account for impacts beyond program outputs and outcomes, we propose several propositions for future testing the conceptual model. This paper presents the findings of a study that examines the development of social capital within an Australian sporting organisation, Surf Life Saving Australia (SLSA). The study draws on the social capital literature across the not-for-profit sector and specific sport management social capital research. The research design incorporated an interpretive approach with data collected nationally from eight focus groups with key SLSA staff, board members and 'toes in the sand' volunteers. The findings provide fresh insights into the development and understanding of social capital within a sporting organisation. Both bonding and bridging were important social capital outcomes of the organisation's activities, albeit with important implications for antecedents and process. The data presented strong evidence for arguing that within the organisation bonding within the club comes first, which importantly provides a very strong sense of belonging and mutual support for club members, from volunteers through to the board. The strength of bonding provides a powerful base for subsequent bridging capital to the local, regional and national stakeholder communities that are associated with the organisation. Further, social capital develops in both the collective and individual, with leveraging of individual skills contributing to human capital development, which is closely connected to and inseparable from social capital. The paper concludes by discussing the theoretical implications for social capital generally and social capital in a sporting context. Equality of opportunity is an ideal not always realized in community sport settings. This research explores if the symbolic notion of a 'fair go' can be enabled, and if so how participation opportunities can be enabled in community sport programme design to accommodate the variety of needs found in diverse population groups. We answer the research question, how is social inclusion interpreted in the mechanisms that support and sustain locally based community sport programmes? Using a mixed methodology, multiple case study approach, in the setting of an iconic Australian Civil Society Organization, programmes designed to engage recent migrants or refugees unfamiliar with Australian surf conditions and people with disabilities are analysed. Programmes were analysed using Bailey's social inclusion framework, encompassing spatial, relational, functional and power dimensions. Through comparative analysis, fundamental practices that allowed sustained implementation of socially inclusive programmes are identified. Additionally, the framework draws out the elements of the programmes that could be improved. Social impact measures are not widely agreed, nor implemented by third sector organisations. Meso level indicators of social impact are underdeveloped. Financialised methods such as Social Return on Investment can only account for direct outcomes of defined programs and activities. The broader societal impacts of any such activities are undervalued. This paper outlines the findings of a grounded theoretical approach to determining measures of social impact within a large Australian iconic third sector organisation. Several key factors revealed in this study are discussed in regards to their potential for attributing social impact to organisational activities outside of a program specific outcome. Based on these findings the paper concludes that the development of a tool to measure meso level organisational social impact of third sector organisations may be attainable. this paper challenges the limitations of extant knowledge of social formation by its focus on the ordinary, everyday lived reality of maintaining community and on identifying its operations from the internal perspective of civil society. We aim to explore the actual mobilising processes and structures that underpin the formation of social capital in the community. We examine how networks emerge and operate. The central aim of the article is to examine the relationship between power and social capital within the cultural, historical and spatial contingencies of three rural communities in Australia. These communities are West Wyalong NSW, Broken Hill NSW and Maleny Qld. Each has variously experienced the threats of deindustrialisation, revitalisation, and commercial development pressures (Beaver and Cohen, 2004). To understand how these communities have addressed their circumstances we examine each in turn within the overriding analytical framework of social capital. We find that social capital is used in different ways in each community. The article is prefaced by an exploration of the core theoretical concepts: Social capital, bonding bridging and linking and power, followed by a brief analysis of each of the three cases. social or environmental issue, a firm emerges as a key influencer in mobilizing and connecting other stakeholders. connections between stakeholders, catalyzing new contacts and relationships within an issue network. Baker, E., Onyx, J. & Edwards, M. 2010, 'Emergence of social entrepreneurial activities: Learning from community networks', Second Int' l Conf on Social Entrepreneurship, Systems Thinking & Complexity, Adelphi University Center for Complexity & Social Entrepreneurship. Edwards, M. 2008, 'Emergent Organisation for Sustainability', Demonstrate, ANZTSR, AUT, Auckland New Zealand. Collaboration skills are defined as the set of skills and capabilities required to work effectively within and across groups to achieve group goals. The development of these skills are assumed but not taught directly or evaluated in undergraduate group assessments in many university subjects. This paper discusses a research project investigating the development of student collaboration skills in the compulsory first year undergraduate subject 21129 Managing People and Organisations. One of the key aims of the subject is to help students understand and acquire a range of collaboration skills that will enhance their work readiness. During August 2008, 290 student surveys were completed by students after their initial formation into groups during tutorials. These surveys asked students about their past experiences of group work, and their expectations and motivations with respect to group work in this subject over the coming semester. A follow-up survey was conducted in November, and attempts to capture the extent of changes, if any, in student perceptions of their experience developing collaboration skills over the semester. This paper reports on the findings of stage one of this project. An overview of student attitudes and perceptions is presented, as well as findings on the systematic variation of these with respondent characteristics. The finding of a number of statistically significant associations of student satisfaction with the method of group formation employed in tutorials is then discussed as a surprise finding from this research.